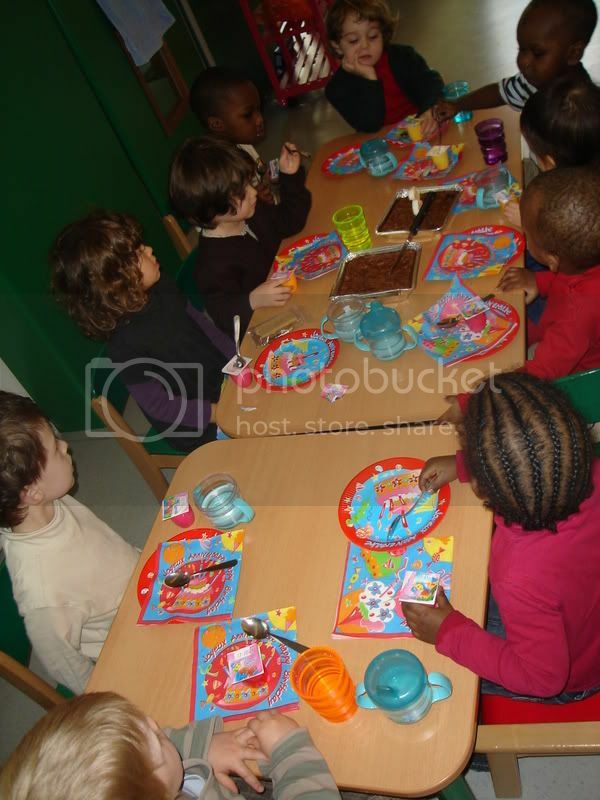 Across 2 Cultures - Cross-Culture Parenting and Lifestyle Blog: A little celebration in the daycare. 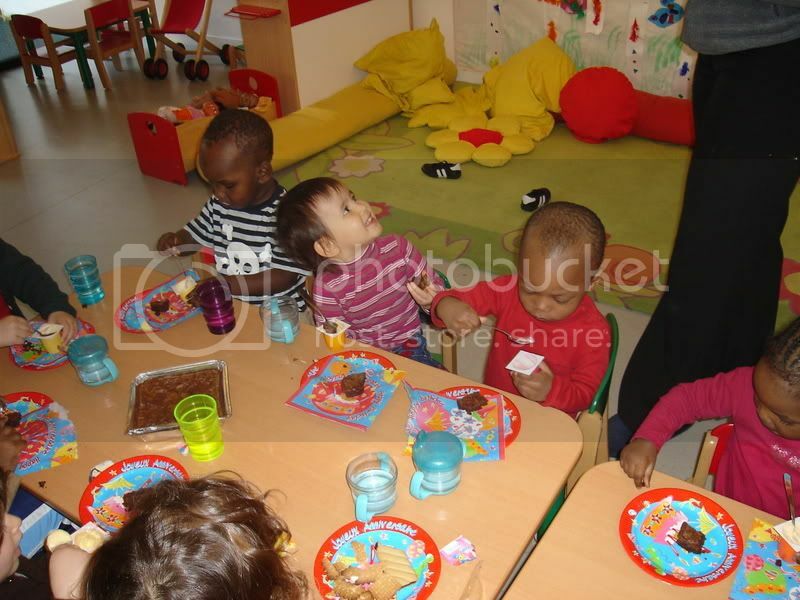 Laetitia had a little celebration for her birthday in the daycare. As they only allowed packaged cakes with the detail ingredient labels I bought three boxes of brownies from the supermarket. And hoping to include something healthy, I bought some little "petite suisse" (soft cheese desserts that is hugely popular with children here). 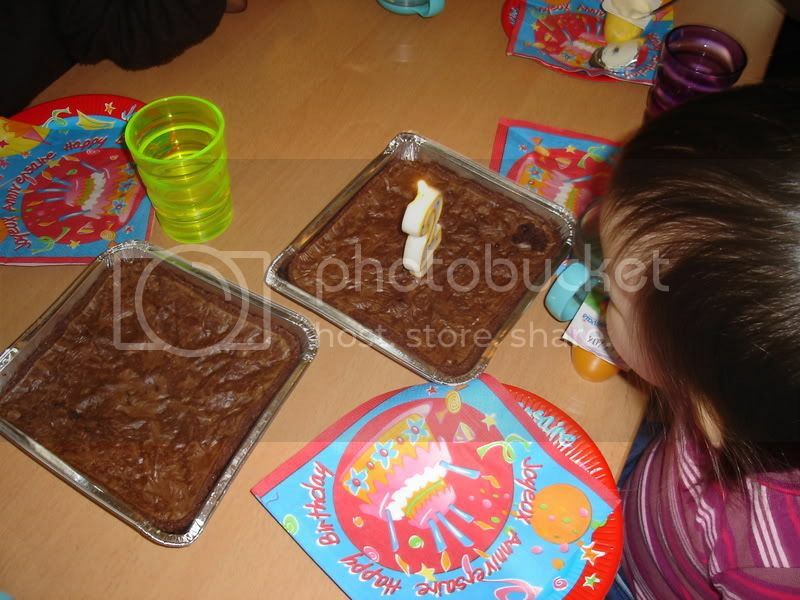 I gave them together with some party plates, napkins and my camera to the caregivers. Here's some photos from the afternoon. The entire gang that day. And here comes the present.... She was given a little stuff chicken by the daycare. 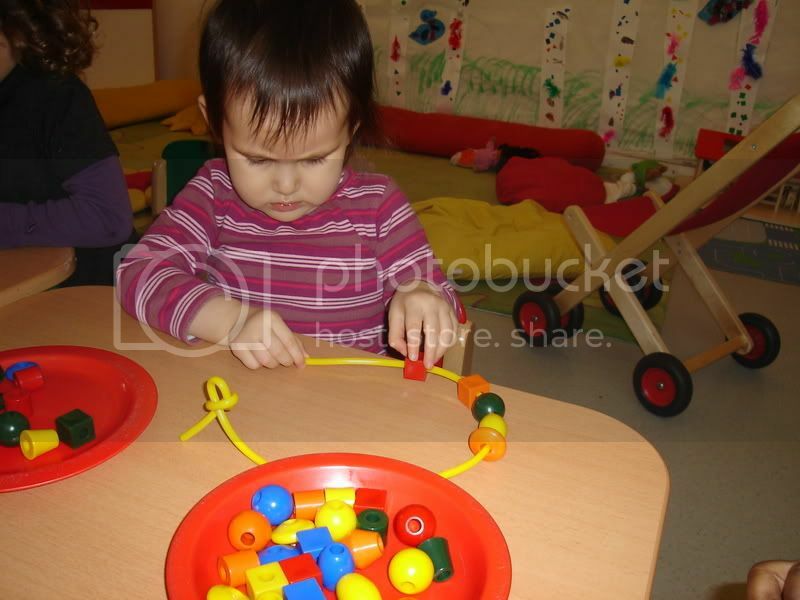 After all the cakes and sweets, it's time to work some fine motor skills by lacing some wooden beads.